I hope I got the headline of this article right, and if I did I would like to reveal the reasons why I think google Adsense publishers will decrease with time. Over the years, google have recorded the number one ads publishing industry with the highest number of publishers globally. This is without any doubt a standpoint for the number 1 ads publishers in the globe. Considering how much I hate to admit this but it is true, google has the best ads rate and they also monetize their publishers traffic way beyond what other ads publishing industries can offer. Google Adsense is the best in the website monetization business but still something about them isn’t just right. We did say something about them isn’t just right but actually we literally mean somethings about them aren’t just right. It would oblige us to explore the indescent stuffs and attributes of google Adsense programme which will reduce their publishers with time. 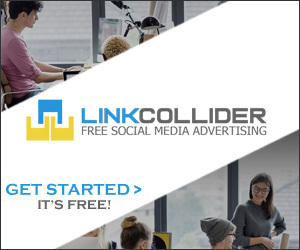 Before we dive in to our reason for putting up this article, let us quickly note some upgrades that several other ads networks are making so as to meet up and eventually overtake the ads publishing industry.
. Propeller ads started out an upgrade of awarding its new users a $25 bonus just for signup. This was started late last year (2017).
. Several other good ads network have a minimum withdrawal limit of $50 which outweighs google Adsense withdrawal limit of $100. This specifically means that bloggers who might be needing their revenue fast cannot cope with Adsense and probably will move to other ads publishing platforms.
. Google Adsense monetization deals greatly on website niche and also the country specific traffic which in what case you have a double reason to rethink your usage of google Adsense. On the other hand, other ads publishing platforms basically looks at your traffic country and not essentially your website niche. This gives those bloggers in google Adsense unfavourable niche to have a greater chance of diverting their interests.
. Google Adsense monetize with CPC and CPM whereby if you have noticed well their CPM isn’t too important as their CPC and this is why bloggers in such huge traffic niche as entertainment, dating and lifestyle have to dig the cement ground to make a good earning with google Adsense. Note: google Adsense CPC for huge traffic websites such as entertainment and dating is relatively low ranging from $0.02-0.10.
. 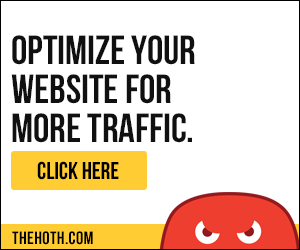 If you have an entertainment website with a huge traffic, say (10,000 visitors daily) you could move to a better ads network that monetize through CPM (cost per thousand visits) and you’ll be earning $10 daily or more. But considering Adsense, you may be earning as little as $2 as a result of your websites niche CPC on Adsense. Several google Adsense publishers have quitted the platform for a better option with other ads publishing networks where they get to see smaller rules to abide by. We all know how difficult it could seem when we are told several things to do just to be able not to go aside the rules and if any one of the rules gets disobeyed you will suffer the same damage as if you failed all the rules. Specifically, publishers do frown at this deeply and that is why these days you see other potential ads networks like revenuehits, propeller ads and media.net pushing forward as a result of lesser rules to follow than google Adsense. With a little flaw you could face a very long lasting Adsense publishers ban which doesn’t happen often with other ads network even when you go against their rules. I have severally heard bloggers say that when you monetize with google Adsense your greatest fear will be google Adsense ban e-mail message. The rate at which google ban their publishers is too high irrespective of who you are or what you have to offer and this is another reason why google Adsense publishers are pushing down the drain to try out other prospective and better ads publishing networks. None of google Adsense rules is simple or bendable as all comes with same severe punishment of facing Adsense ban. These rules are so strict that we the Adsense publishers should apply severe caution while dealing with them to avoid being caught up in the middle of nowhere. Well we have spoken about this before but for relevance sake let’s brush through it. Google Adsense strives to be extremely selective when it comes to monetizing some website and their niche as some niche pay lesser while some niche pay better. Google Adsense is simply substituted by other ads networks which monetize through CPM and has no preference in website niche. Google Adsense has a high payout option of $100 whereby it is not every blogger that is able to get to that peak before the said month runs out. This is why several other ads publishing platforms makes provision for monthly $50 withdrawal and some payout $20 per month or whenever you are able to get to the minimum withdrawal you can request your withdrawal. This is where several bloggers face hell. The CPC of several blogging niche falls to be extremely poor and this cause them to be unfriendly with google Adsense. speaking of low CPC websites niche, we talk of entertainment, dating, relationships and these website niches are considered the highest quality website niches and they pay lesser. As a result of this, several bloggers in the said niche now monetize with CPM ads publishers so as to convert their huge traffic better. I know you will be disturbed with this spellout but it is true. As google Adsense monetize only with CPC, it therefore offers no daily predictable income as the visitors that clicked on your ads today may not come to click on your ads tomorrow and the day after. This is why upon huge traffic some websites still make little income. It is better and more predictable using a CPM based ads publishing network whereby you know that for every 10,000 visitors you’re making $10 and nothing less. This is better predictable than using google Adsense unpredictable CPC based ads network. Where your traffic comes from deals a great time with your google Adsense revenue. Google Adsense selects the traffic to give higher ranking and also brings down the value of referral traffic if you know what I mean. Sourcing traffic from Facebook, and other social medias brings down your website CPC even if you fall to the high CPC based website niche. Google frowns at social media traffic, referral traffic and software traffic as far as it still do with CPC and website niche. You can believe with me that google never gives such a good amount for traffic coming from Facebook, twitter, google+ and other social medias if you are a blogger who shares your articles there. Monetizing your website with google Adsense is a very easy way to earn better income with your website no doubts but we presume its high time you tried other better ads networks and know what they really have to offer as google Adsense isn’t where it all ends. Note: the major push to earning with your website is a high quality, targetter and good traffic. We still see other good websites monetizing with other ads publishing networks on CPM basis and still make it just as google Adsense publishers do. But if you pay google you are supporting tax evasion, copyright theft and Internet crime. Their version of SEO wrecks websites, their demand that people make two versions of every webpage, one (Accelerated Mobile Pages an AMP version) to help them serve advertising on phones IS INSANE. Join the fight to kill google search, adwords and youtube. I banned google from my main site hereticpress.com, site firstly with robots.txt which they sometimes ignore, then by IP using htaccess on an Apache server. I have recently had to resign from facebook due to google bullying. After I made a negative comment on a google adwords advertisement all my further comments were marked as spam and they all disappeared after three seconds. See how long this lasts. Over 150 reasons to stop google indexing your websites. Ban this greedy company of tax evaders and copyright thieves. i do understand what you are trying to say in essence and i believe the google publishers will eventually decrease with time. coupled up with the level at which they ban websites these days from displaying google adsense ads and all that and equally banning the indexing of websites. its really tiring but till i find another better alternative to adsense i will be using them for now.